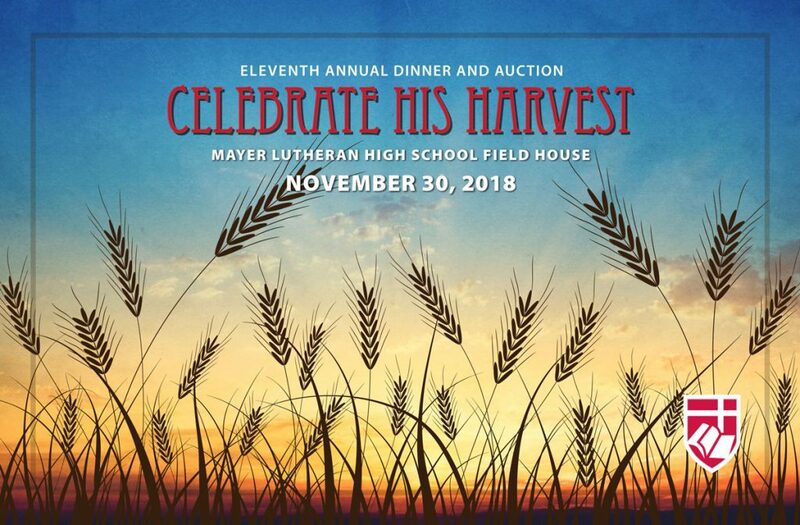 We invite you to Celebrate His Harvest during an evening of community, support and dedication to the future of Mayer Lutheran High School students and our mission to prepare the next generation of Christian leaders. You are humbly invited to join us for an evening of giving at the newly raised Mayer Lutheran field house. Semi-formal attire admired but not required. Cash bar available throughout the evening. Celebrate His Harvest proceeds are designated for MLHS tuition assistance. 10% will benefit Ysleta Mission. For questions or donations, please contact Kathy Martin at kathy.martin@mayerlutheran.org, 860-230-8081 or Elissa Crown at elissacrown@yahoo.com, 952-212-7451.